New York, NY - Pueblo Bonito Golf & Spa Resorts has selected Tambourine to handle website and digital marketing efforts for its portfolio properties. Tambourine has launched services for Pueblo Bonito’s entire portfolio of eight award-winning luxury resorts, four of which were named among the best resorts and spas in Mexico this year by Condé Nast Traveler magazine, one of the most respected travel magazines in the world. “We are delighted to be working with Tambourine. We have received many compliments about the new look of the website, email campaigns and digital ads, but more importantly, we have been able to increase the revenue generated on our website. In addition, we now have the ability to measure the ROI for every channel and every source which in turn makes it possible to optimize our marketing campaigns accordingly,” said Enrique Gandara, Vice President of Sales and Marketing at Pueblo Bonito Resorts. 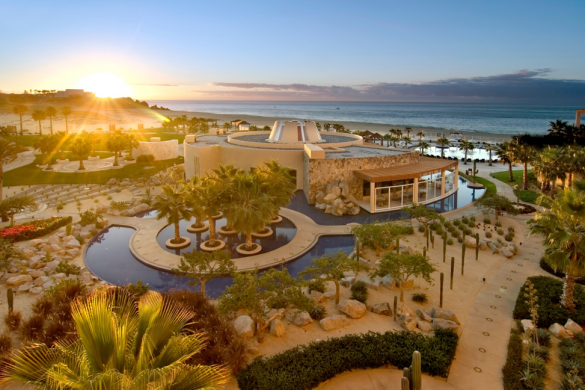 Pueblo Bonito Golf & Spa has eight award-winning resorts in two destinations, Cabo San Lucas and Mazatlán, all offering luxury all-inclusive options. Each of the properties has its own personality, design and ambiance, yet all share the same high level of impeccable quality and distinguished atmosphere. In Cabo San Lucas, the adults-only Pueblo Bonito Pacifica Golf & Spa Resort is the ideal setting for a romantic getaway, while Pueblo Bonito Sunset Beach Golf & Spa Resort, with its large, all ocean-view suites, is perfect for families. Pueblo Bonito Rosé Resort & Spa and Pueblo Bonito Los Cabos, both located on El Médano Beach, have the best to offer vacationers looking to be right in the middle of all the Cabo action. In Mazatlán, the jewel Pueblo Bonito Emerald Bay Resort & Spa overlooks the Pacific Ocean and a private beach, while the charming Pueblo Bonito Mazatlán, is located in the famous Golden Zone. Both resorts are great for family vacations and romantic getaways. For more information visit http://www.pueblobonito.com, find us on Facebook at http://www.facebook.com/pueblobonitoresort and follow us on Twitter @PuebloBonito.